The development proposals for 425 new houses and a business area on the Factory Lane site at Vernon Carus in Penwortham are currently in the public domain and will be submitted for Planning Permission over the coming weeks (possibly in the same or amended form from the current plans). The good news is that the developers are promising to ensure the long-term survival of the Vernon Carus sports pitches. The bad news is that the development is NOT JUST proposed for the factory site itself but extends back behind the factory right across the south of the site to Leyland Road at the Sumpter Horse (which will be demolished to make way for a roundabout and access road and further developments) and to The Cawsey at the old gas works. 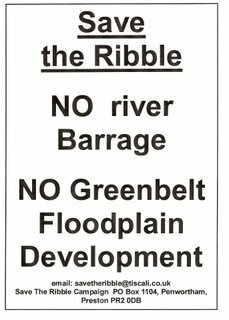 In fact, by far the larger part of the development will obliterate a significant stretch of green field which runs between the reservoir in the east and the stream cutting through towards the River Ribble. Whilst the good news is that the area to the east of the reservoir will be protected and managed as a wildlife area, and the trees running alongside the stream and the land to the west of the stream alongside the housing development is not included in the plans (at the moment! ), the further bad news is that this entire green field area is also designated FLOOD ZONE 2 in the Strategic Flood Risk Assessment. The proposed development is in the paler blue Zone 2 Flood Risk area. The darker blue is Zone 3, floodplain and higher risk. Local people already know that this land is a wetland, steadily soaking up huge amounts of rainfall per cubic metre and releasing this water slowly down to the river and safely away, but as Flood Zone 2, this land is also at risk of flooding in extreme events. This map shows Flood Zones 3 and 2, often overlapping one another in this area. 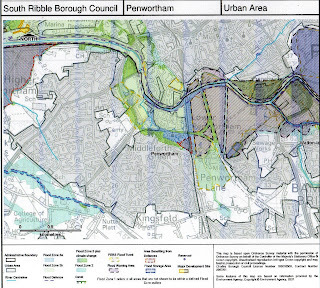 The colour-coded key is difficult to follow but the paler area covering the development site is Zone 2, and the yellow dotted line around it means the Environment Agency have document flooding in this area. The darker areas between Factory Lane and the River Ribble are Flood Zone 3 and floodplain, plus a flood warning area. This is why the Strategic Flood Risk Assessment is supposed to be ensuring that developments take place in Flood Zone 1, the lowest risk areas. As it is, the size of this development will be of serious concern to local residents already struggling to cope with the ever-increasing traffic volumes and congestion which already exists on Leyland Road - and due to increase still further anyway with the existing new housing developments already passed for the old gas works site. The SITE of this development will increase flood risk to existing communities as well as put the new homes themselves at risk. The developers are claiming that having a drainage system taking rainwater straight to the reservoir will ensure flood risk is not an issue but the land will still BE UNABLE TO SOAK UP AND HOLD THE VOLUMES OF WATER IT CURRENTLY DOES IF THE LAND IS CONCRETED OVER. It is clear that continuing to build on flood risk areas and flood storage areas cannot continue: we need URGENT ACTION ON FLOOD RISK NOW. 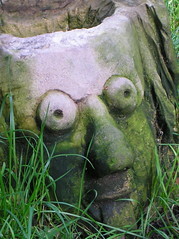 We feel that the development should be scaled down to the factory site ONLY which will make this development much less unsustainable than the current plans which entail significant loss of water storage areas, loss of green space and biodiversity, and unacceptable increases in traffic in an area already struggling to cope. 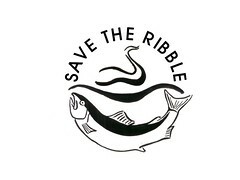 You can contact us at savetheribble@tiscali.co.uk and let us know what you think. Follow the progress on twitter @YoshiBeGreen ! 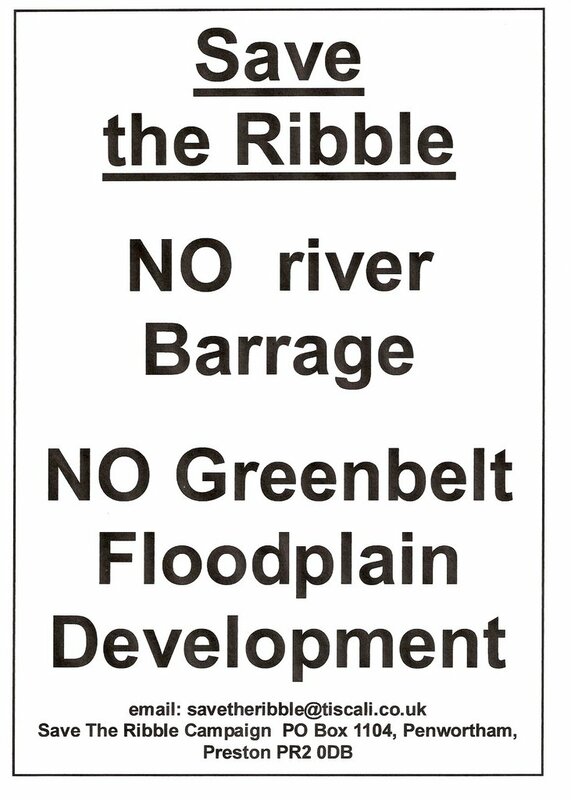 So Has The Ribble Been Saved...?